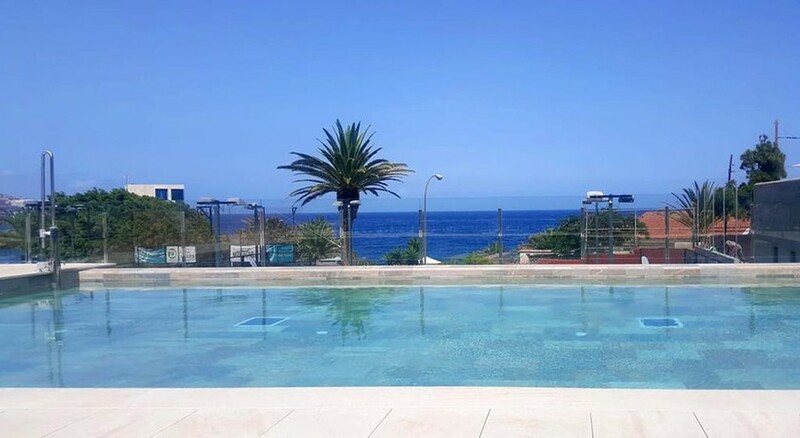 The Catalonia Punta Del Rey hotel is located on the north-east coast of Tenerife and combines a great location which is beside the sea with a wide range of on-site amenities. This includes three bars, several restaurants, a gym, swimming pool and sports area. There is a daytime and evening entertainment programme at the property as well as a Kid’s Club for younger guests. The hotel is close by to the Punta Larga Shopping Centre, Lago Martianez Lake and the Real Club de Golf de Tenerife. The Catalonia Punta Del Rey hotel has a variety of room options that will suit couples, groups of friends or families with children. 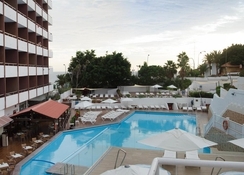 The Catalonia Punta Del Rey hotel is found on the Spanish island of Tenerife. It is nearby to the Punta Larga Shopping Centre (0.9 miles), Lago Martianez Lake (11.4 miles) and the Real Club de Golf de Tenerife (13 miles). The Tenerife Sur Airport is 26 miles away. There are 423 rooms in total at the property. Double or Twin Rooms can sleep up to two guests while Triple Rooms have capacity for three people. Families can avail of the Family Room (which is has four single beds) or the Premium Family Room (which has 2 single beds and 1 double bed). 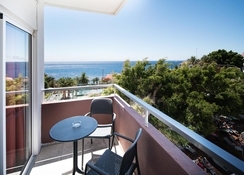 All the rooms at the hotel have air conditioning, satellite TV and a private balcony. You will find three bars at the Catalonia Punta Del Rey hotel as well as several restaurants. This includes the main buffet restaurant, an Italian restaurant and BBQ restaurant. There is an all-inclusive option at the property which covers breakfast, lunch and dinner in the main restaurant and you can visit the other restaurants on-site with a prior reservation. This also includes snacks and local drinks. 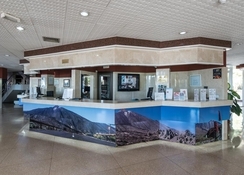 The Catalonia Punta Del Rey hotel has a range of on-site entertainment and sports options. There are three swimming pools, a gym, tennis and squash courts, water sports, mini golf and you can also have a range of massage services that incur an extra charge. The hotel has an entertainment programme and there is a Kid’s Club for children. The Real Club de Golf de Tenerife is close by if you want to play 18 holes under the Spanish sun. The staff very friendly and always smiling, the food very delicious, many choices and hard to say : NO ! Good hotel, staff were nice, rooms were kept clean and good range of food for everyone.